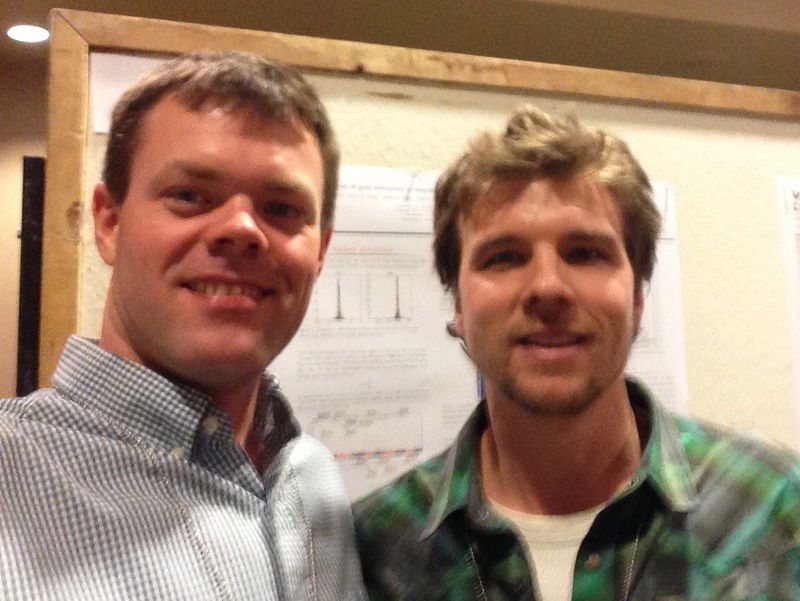 I'm recently returned from the 2015 Rocky Mountain Bioinformatics Conference, where I presented the above poster. This is work with a colleague, Rick Gray, at the FDA. 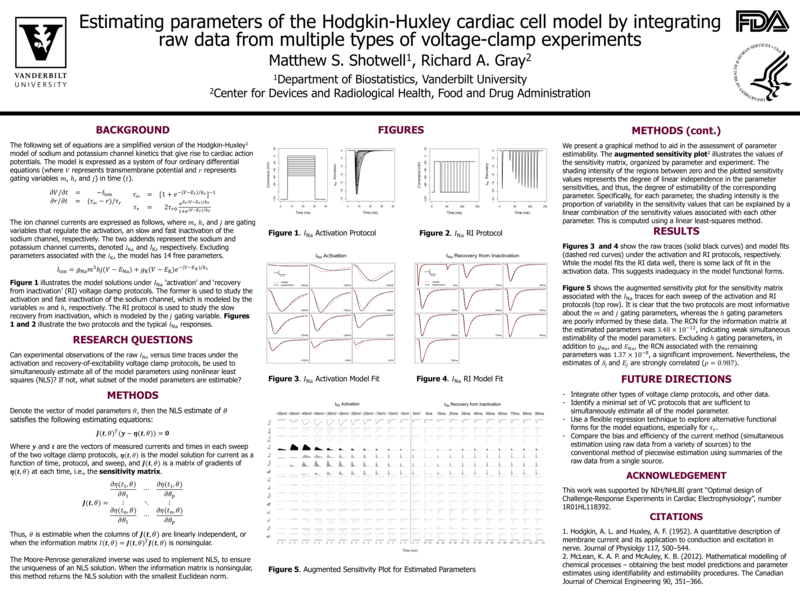 He and I collaborate on our NIH award "Optimal Design of Challenge-Response Experiments in Cardiac Electrophysiology" (HL118392) The (original) poster abstract is below, but the poster content is slightly less ambitious. Here are PNG and PDF versions: PNG (2.2M), PDF (1.1M). I will post some R code demonstrating the model shortly. The Hodgkin-Huxley cardiac cell model is used to model the behavior of ion-channels during the cardiac action potential. On a larger scale, the model is used, for example, to model cardiac arrhythmias and to assess the effects of defibrillation protocols. Historically, the model parameters have been estimated in a piecewise fashion using summaries of raw data from voltage-clamp experiments, and by fitting the summarized data to model sub-components. This process is repeated for each of the model sub-components and corresponding summaries of voltage-clamp data until all of the model parameters are estimated. However, we demonstrate that by summarizing the raw data, some information about the model parameters is ignored. We show that the piecewise estimation procedure can be biased, and can yield estimates that are not unique. Finally show that the model parameters can be estimated simultaneously by integrating data sources across multiple types of voltage-clamp experiments, and that this technique is more efficient than the piecewise approach.